Developing a great application isn’t enough. How do you get people to download it from the app store? And can you really stop there? How do you keep users coming back? Or better yet, how do you turn them into brand evangelists who love your app so much that they promote it for you (and for free!)? 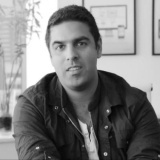 In this webinar, Sachin Dev Duggal, successful serial entrepreneur and a member at RocketSpace, will explain how to leverage the most effective hacks to get (and retain) thousands of new users for your app. Is your app showing up in the top 10 rankings for your keywords or category? Are you being featured in the app store’s Spotlight sections? Are you only targeting geographic areas where users are already aware of more apps than they know what to do with, and tired of hearing about “the best new app” every single day? On average, users delete an app they just downloaded within 54 seconds of opening it. That means you have less than one minute to convince them that your app is valuable. How do you achieve this? With an enjoyable, frictionless onboarding experience. What does it take to keep your new users coming back to use your app after the initial experience? And how do you get them to take that crucial action? What can you do to create some magic for your users?